Our film “A Pearl for the Ages” was just presented with a “Winnie Award” at the Equus Film Festival in New York! TALKING TO THE AIR WINS AT EQUUS INTERNATIONAL FILM FESTIVAL! Talking to the Air: The Horses of the Last Forbidden Kingdom was honored to have received three awards - Best of Festival, Best Documentary (tie) and Best Script at the Equus International Film Festival in Missoula, Montana. Sophie accepting award for Best of Festival with Janet Rose. Monty Roberts in the front row! Thanks FOR THE WRITE-UP Marjorie! Over the ten day period of the festival many different kinds of films are shown; including films about expeditions, nature documentaries and adventure sports – one of the premiere Mountain Festivals in Europe. Great news Canadians! We just heard that our documentary film "Talking to the Air" about the vanishing horse culture of the High Himalaya has a Canadian Premiere screening at Vancouver International Mountain Film Festival, Nov 14th. The film screens as part of "NEPAL - Before and After", a series of presentations and films, and a fundraiser dedicated to Nepal, still recovering from the devastating earthquakes. Please share with Vancouverites who might like a one hour trip to the Himalaya! Talking to the Air was an official finalist amongst hundreds of entries at YIFF whose mission is to recognize and award progressive, eye-opening, independent cinema and writing of all genres and to foster an appreciation and understanding toward the preservation and majesty of our natural world. We are thrilled to announce that Talking To The Air has been chosen to screen in Doha, Qatar this November 26-19 at the prestigious Al Jazeera International Documentary Festival. TALKING TO THE AIR WINS IN BELGRADE! "With the breathtaking views of the landscapes of Nepal, Tibetan culture and scenes showing the communication between humans and horses, this film adds an exceptional visual value to presentations of intangible heritage". A huge thank you to all of our supporters around the world without whom this would not be possible! FOUR NEW WINS FOR HORSEFLY FILMS RARE EQUINE TRUST! It was a great weekend at the Equus International Film Festival in Missoula, Montana! Horsefly Films Rare Equine Trust got to screen two of our films, we were featured on the panel "The Challenge and Glory of Equine Filmmaking" and we got to see some great films too. We also won four awards! A Merit award for Best Historical Presentation for "Path to Glory", and our film about the Skyrian Horses "Of Gods and Kings" won Best Score, Best Narration and Best Historical presentation. We are so happy that these little Greek horses, the most unknown Greek treasure are getting more recognition! "Better Film, Better Audience, Better Society." The DIFF is the most prestigious film event in Bangladesh and, to a great extent, has helped shape an increasingly healthy and positive national film culture. DIFF is a bold expression of resistance against the decadence, vulgarity and cheap commercialism that pervades the mainstream Bangladesh film industry. The festival has also created space for young and aspiring filmmakers in Bangladesh and larger South Asia to connect with global artistic trends and to strengthen the parallel development of Bangladeshi cinema. Both Talking to the Air and Tarpan are to screen at the Bansko Mountain Film Festival in Bulgaria, November 25-29. We are especially pleased to be able to present Tarpan in Bulgarian in the country in which we shot it! TALKING TO THE AIR invited to screen at the Himalayan International Film Festival in Seattle. HORSEFLY FILMS' RARE EQUINE TRUST THRILLED TO ANNOUNCE OUR NEXT 2 FILMS! 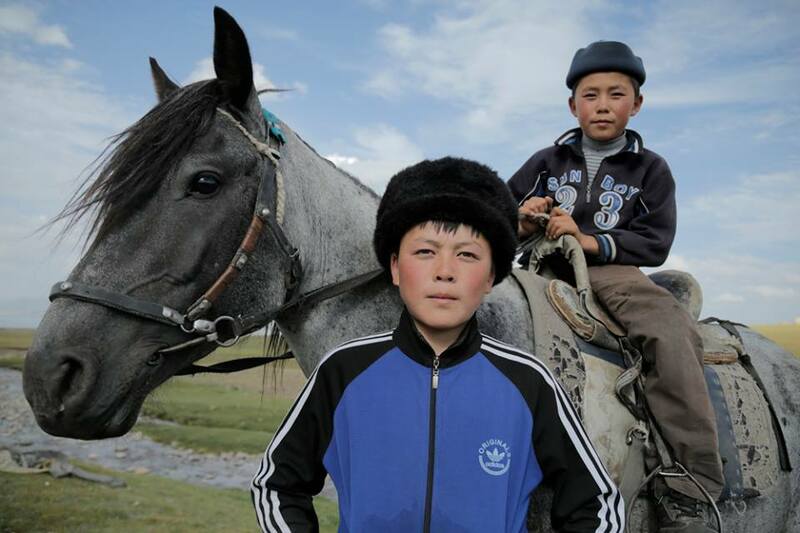 The first new project is a window into the incredible world of horses and history of nomadic life in Kyrgyzstan, a place where the young maverick horse riders of today represent their centuries-old culture. Sophie has travelled deep into this little-known country to film families of humans and horses in spectacular, otherworldly vistas, to capture an unparalleled equi-centric culture whose very existence depends upon the horse in a way like no other place on earth. Young Kyrgyz horseman on the plains. The second new project is our first film of the series with a subject geographically much closer to home. We have been seeking a truly unique RARE story from the United States and have found it at last in our film about the Camarillo White Horse. This story of these exceedingly rare and genetically unique horses is the story of the Camarillo family and indeed, the quintessential story of California, from our roots in Spain and Mexico to our ranching traditions and the mythology of our collective dream. It's all here to be told! Adolfo Camarillo Great-grandson Harold Parker and his Camarillo White Horse stallion El Patron. TARPAN and TALKING TO THE AIR heading to the rarified air of Zakopane! Our latest two films have been chosen as official selections in the 11th Annual Zakopane Mountain Film Festival in beautiful Zakopane, Poland September 2-6, 2015. We are delighted to bring these films to the steps of legendary Giewont peak, high in the Tatra Mountains. Of Gods and Kings, Tarpan and Talking to the Air ALL to screen in Estonia! Matsalu Nature Film Festival, Estonia September 16-20 2015 - The festival showcases a wide variety of international films about nature, wildlife, adventures, expeditions, environment, sustainability, biodiversity, conservation - films that depict nature in its diversity and films about the coexistence of man and nature. TARPAN: Repainting An Ancient Picture screens for the first time in Bulgaria! We are proud to announce that our film "TARPAN: Repainting an Ancient Picture" was recently beautifully translated into Bulgarian (subtitles) and was shown this past week for the first time in the Khardzali region where we filmed in the Rhodope Mountains. We are thrilled that the Bulgarian people are now able to see and engage with the film that is their story. Here are a few photos from the first screening event last week, featuring Hristo and Desi who were instrumental to our filming and were featured heavily in the film. Kudos to All! Bulgarian audience from Khardzali, where the Tarpan now roam free, enjoying TARPAN for the first time in Bulgaria. Desi, one of the human stars of the film who works in the field on rewilding projects in the Rhodope Mountains, enjoying her closeup. The inimitable Hristo Hristov, lead biologist on the Tarpan project and many other re-wilding projects in the Rhodope. 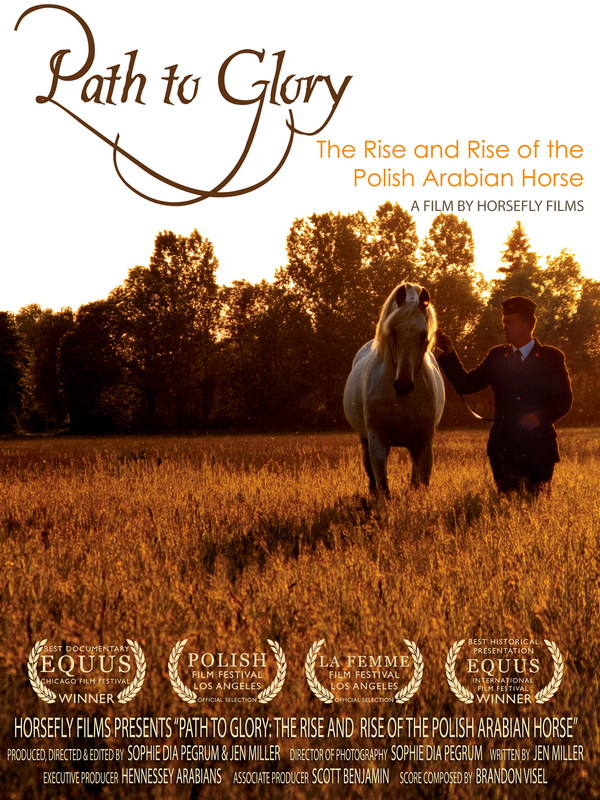 Horsefly Films Rare Equine Trust is honored to announce that “Path to Glory” our documentary film about the history of the Arabian horse in Poland is an official selection of the EQUUS International Film Festival. The film will be screened at the EQUUS International Film Festival and Conference, held September 18-20 in Missoula, Montana. The film has also been chosen for a Merit Award for Historical Footage. More info at Equus International Film Festival. TALKING TO THE AIR to screen at 24th International Festival of Ethnological Film in Belgrade. We are excited to announce that “Talking to the Air” has been invited to screen at the 24th International Festival of Ethnological Film in Belgrade, Serbia. The Festival is organized by the Ethnographic Museum in Belgrade. They recently introduced the new Center for intangible cultural heritage which includes a commitment to archive around 1250 ethnographic films from 80 countries. Its mission is to foster research and creative approaches to ethnographic documentaries, to educate public on diverse local cultural traditions, as well as to raise voice addressing problems of contemporary society which often neglects values of cultural heritage. We are proud to be a part of this cultural conversation - it fits with our mission perfectly! We were thrilled to be included in the inaugural Equestrian Trailblazers Online Summit recently. We were in stellar company with some of the top equestrians, breeders, artists, trainers, movers and shakers of every realm of the horse world, including the likes of Monty Roberts, Carol Walker and others. The Summit is the brainchild of Equestrian June Burgess and the worldwide response was overwhelming! You can catch our interview HERE. Here's the Show Reel for PIMFF 2015 with glimpses of the films to be screened at Pakistan International Mountain Film Festival 2015. Screenings are on June 13th and 14th at the Alhamra Arts Council in Lahore. More info at the PIMFF facebook page. "Talking to the Air" wins Best Feature Documentary in its first competitive film festival! TALKING TO THE AIR - U.S. Premiere Announced! We invite you to join us for the U.S. premiere of a new film set in Mustang, Nepal on the remote and fragile border with Tibet. Tibetan Buddhism is central to life here and the film features the Royal priest to Mustang’s King, rare archival footage of His Holiness the Dalai Lama’s escape to India and the colorful stories of Mustang’s people. It is a story of courage, deep spiritual connection and adventure and the unique history of a land where a man’s wealth can still be measured in horses. In this, the Dalai Lama’s 80th year, celebrate Lungta, the Windhorse – a symbol of wellbeing and good fortune and the remarkable horses and people of Mustang. We hope to see you at this momentous screening! The Silver Springs International Film Festival is a colorful cultural event set in an area known as "The Kingdom of the Sun" and "Horse Capital of the World”. For nearly 100 years, moviemakers have journeyed to Silver Springs to capture old wild Florida on the big screen, and the region is steeped with movie-rich history – Films shot here include The Seven Seas, six of the original Tarzan films, The Yearling, Creature From the Black Lagoon, Rebel Without A Cause and Tom Cruise’s 1985 film Legend. The historic Marion theater has a state of the art screen and the celebrations have become legendary already! Silver Springs International Film Festival and Equus Film Festival presents the U.S. Premiere of "Talking to the Air: The Horses of the Last Forbidden KingdoM"
Cosmopolitan Review is a journal focused on issues of social, cultural and historical interest by English-speaking writers for English-speaking readers throughout the worldwide Polish diaspora. Thank you Justine Jablonska for your great insight into the story of re-wilding and for spending time to interview and ask us about our film "Tarpan: Repainting an Ancient Picture". LINK TO ARTICLE HERE. Colinda Vergeer, the regional manager of Rewilding Europe has just published a piece on our film "Tarpan: Repainting an Ancient Picture". She remarks upon Konik/modern Tarpan as ideal for re-wilding as well as the significant milestones in this journey towards returning swathes of Europe to a diverse ecosystem. As filmmakers, our part is to capture their story, bringing the policies and future to public debate. Our goal at the Rare Equine Trust is exactly this and we hope that by bringing the Tarpan's story to light to a wider public, we all engage in a future that is rich and sustainable for all equine breeds, endangered or otherwise. The documentary shows the tale from the last wild Tarpan, extinct in the Ukraine in 1879 and in captivity by 1918. By then the Tarpan already crossbred with other domesticated horses. Decades later the characteristics of the Tarpan have been rediscovered in the konik (from Konik Polski) horses, our modern Tarpan. It is a story that connects people with their successful devotion to bring back the wild horse and how the regenerated horse struggled to become wild again in Bulgaria, facing a more different predator than humans and to find their way back to their ancient selves. Jen Miller and Sophie Dia Pegrum not only present the history of this tale and the milestone on the introduction of the koniks as modern Tarpans, but show also a turning point in evolution of both horses, humans and nature, providing hope and in a way also forgiveness. Koniks are among the few primitive horse breeds that are very fit for re-wilding, ready to regain their rightful place in European ecosystems. This is one of the conclusions of “Rewilding Horses in Europe”, a first study of this kind, commissioned by Rewilding Europe. The free-ranging konik herds in the Netherlands, Belgium, Bulgaria, Northern France, Germany, Poland and the Baltics prove this is becoming a reality. “TARPAN, Repainting An Ancient Picture” showcases the comeback of wild horses in Bulgaria, where the fairy tale about the Tarpans becomes true again. It shows that we as human kind have the chance and the opportunity to change destruction into creation, restoring, re-wilding nature. To return horses back to the wild and to let nature take its course is one big milestone, thanks to the dedication of the Bulgarian people, the knowledge of the Polish scientists and the passion of the Dutch biologists. The second milestone, is that these horses bravely show the success of the re-wilding process, proving that this opposite process of domesticating and become wild again is possible. And now the herds of Tarpans are ready for their third phase: remaining their wildness and face public opinion and policies. Jen Miller and Sophie Dia Pegrum provide this opportunity by capturing their story on film opening the door to public debate. The horse served us for centuries, shared our history and our evolution. We learned to ride them, they learned to carry us. And again they support us in the next phase of evolution restoring nature, opening up forested areas and making nature accessible for us again. And in return we set them free so that we can enjoy watching them, connecting with our own ancient self. Will wild horses be recognized again as wild horses in Europe, getting legally a wild status, like they once were? Will human kind allow them to roam free allowing us to enjoy them watching? The Bulgarian people agree, do you? -Colinda Vergeer, Regional Manager at Rewilding Europe. TARPAN IS SCREENING AT THE EMBASSY OF THE REPUBLIC OF BULGARIA IN WASHINGTON, D.C.
Our latest award-winning film "TARPAN: Repainting an Ancient Picture" screens at the end of February 2015 for the Bulgarian Ambassador and a host of other dignitaries and friends at the Embassy in Washington D.C. VIP invitees include folks from the Ukraine, Poland and the American Horse Council. We are really happy that telling this remarkable story through film is reaching across borders and opening a debate on rewilding and the future for horses like the Tarpan. The diplomacy of filmmaking! HORSEFLY FILMS PRESENTS "WE ARE THE HORSE"
For the new year Horsefly Films/Rare Equine Trust put together a tribute to the horse. Our projects take us worldwide and this film shows a small, colorful slice of all the amazing horses and places we have been. "Talking to the Air: The Horses of the Last Forbidden Kingdom" played to a sold out house at the Kathmandu International Mountain Film Festival in Nepal. Although the film was not in competition the audience turned out in droves and the festival added a second screening to accommodate the crowds. The film was graced with VIP guests - The Crown Prince of Mustang attended with his family and a few of the characters from the film also joined us. The audiences at KIMFF are really engaged with documentaries and a lively Q&A session followed both screenings. Our generous Seed and Spark supporters made the completion of this film possible. Tiger Gurung, Jamyang Thakuri, The Crown Prince of Mustang, Dipendra Bhandari, Miranda Morton Yap and Sophie Dia Pegrum. NOVEMBER 23RD 2014 - WINNER! 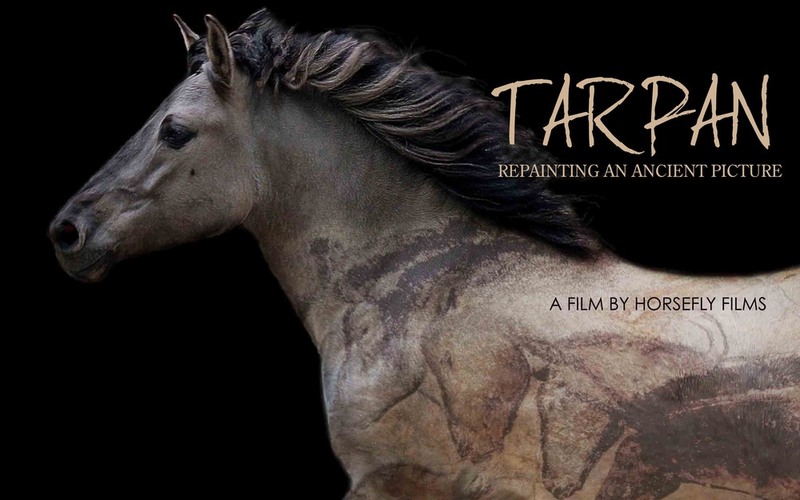 "Tarpan: Repainting an Ancient Picture" was a crowd favorite at the Equus Film Festival in NY this weekend. The film won Best Short Documentary! DVD pre-sales and posters now available in our store. Horsefly Films Rare Equine trust just concluded a successful crowd-funding campaign which raised money towards the post production and finishing costs of "Talking to the Air". Thank you to all our amazing supporters who got behind this project with cash and a lot of goodwill. As part of the campaign we have also posted some fun behind the scenes videos. See the raising journeys on Himalayan roads the team took to shoot the film. Dispatches: Journey to Mustang Part 1 and Part 2. Please support and share our campaign to get "Talking to the Air" finished and back to Kathmandu. The prestigious invitation to KIMFF in December is an amazing start for our film's outreach, and with your help we can get this film seen. This film has great potential for positive social impact - let's get it out there! "Tarpan: Repainting an Ancient Picture" has been invited to screen at the Equus Film Festival in New York in November. In the company of other great films with mythological, lyrical and journalistic stories about humankind and horses. "Talking to the Air" has been invited to screen at the Kathmandu International Film Festival in December. We're now on the fast-track to get the film finished! Our dream to premiere the film where the very people who helped make the film and who are in the film get to see it on a big screen has come true. The impetus behind KIMFF has always been bringing local and international communities together in their belief in the capability of the audio-visual medium to create social and economic transformations.